On a whim, I decided to run a 5k to end 2012. I have never run a Resolution Run, but have wanted to for several years. So, when we realized we would be home for New Years, I started shopping for a local race. I found a 6pm race on the 31st to be run through the CSU campus. Good enough for me. I haven’t run a 5k in nearly two years. From what I remembered from that experience, as well as all of those 5k’s in high school cross country, is that they are fast and they hurt. I was expecting the same from this one. So, I was nervous. I was nervous about the short distance. I was nervous about the hamstring. I was nervous about not having done speedwork in months. But when I toed the line, I put it all behind me and just focused on flying through the next 3.1. The race would be two small laps around the interior of campus along with a short out and back. It was dark and cold. 15 degrees or so. And I would soon find out that about 1/3 of the course was snowpacked and icy. My plan was consistency. Especially in mile 2. My all time worst mile in a 5k. I know many of you can agree with me! I wasn’t sure what my time goal was going to be. It all depended on how the first mile went and felt. The group of us (a few hundred) gathered at the informal start line. At the countdown, we were off. We immediately started on snowpack and ice. I saw a group take off and I knew I wouldn’t be able to keep up with them. Instead, I weaved through a few, found a pace and held through a handful of left turns. The course was marked fairly well with an arch of orange cones at each turn, along with a few volunteers waving flashlights. I’d never raced at night, though I have run many time after dark. I wasn’t sure how the experience would be and considered wearing a headlamp. I could have gone either way. During another snow/ice section, I was seriously wondering if it was worth it to try to keep a sub 7 pace. I mean, it was just a 5k. Just a 5k I randomly registered for. Just a 5k I hadn’t trained for. Maybe this breathing hard thing wasn’t all that fun. Oh yeah, back to the 5k’s-are-fast-and-they-hurt bit. I figured I may as well stick with it through mile 2 and see about that last mile. Fell off the pace a bit here. Don’t really recall why. I kept my eyes up to catch a few people. And I did. That’s always fun. I was looking forward to wrapping this little race up so I could take a hot shower. It was cold. I was surprised at my placing, but super happy with the result, despite the not-so-fast time. 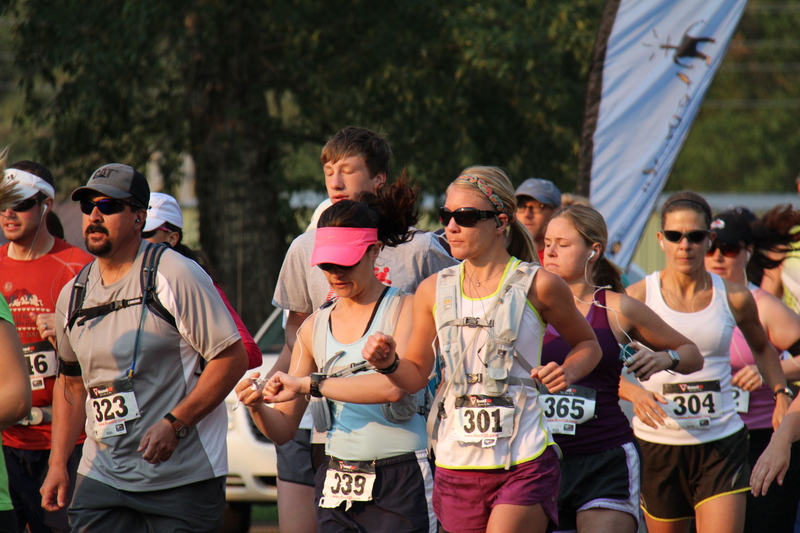 I can’t wait to run another few 5k’s this year, hopefully with a little more training! 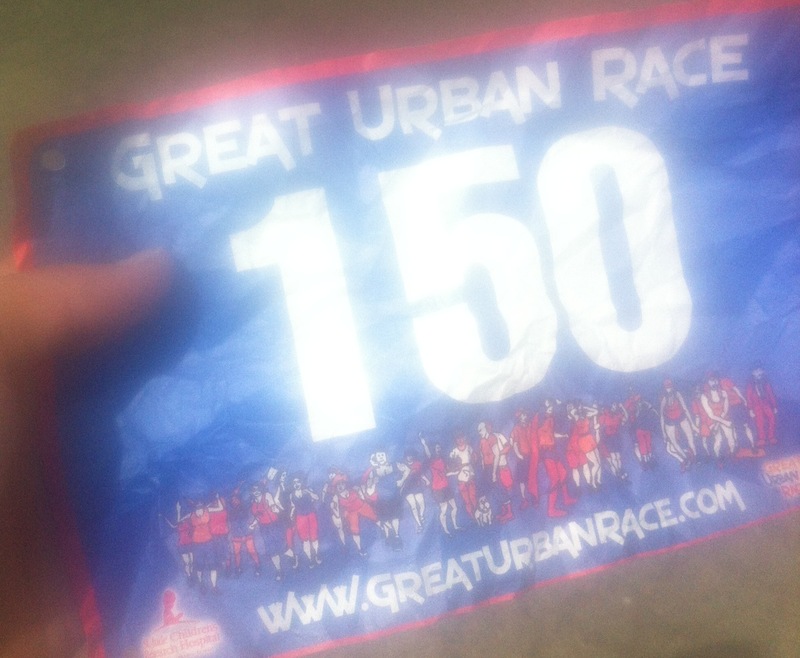 This race put me at 1337 miles for the year. As I embark on a new challenge this year, I am excited for healthy running and many more miles for 2013. 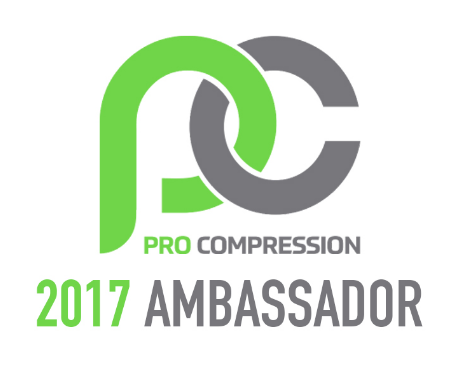 Categories: 5k, Awards, Beginnings, Oiselle, Races | Permalink. 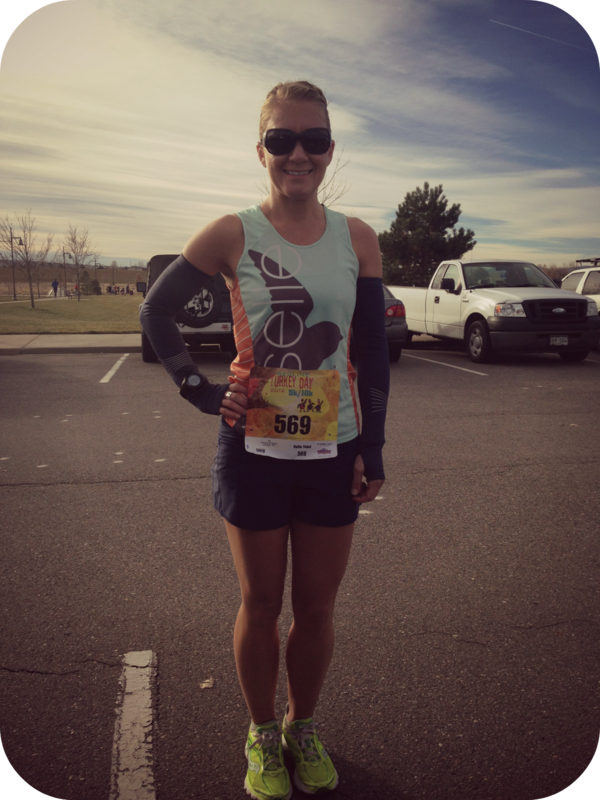 This past Thursday, I ran a 10k Turkey Trot. It ended up being the fun run that I wanted: running with friends/family, low impact on my still recovering hamstring, and my first race as a Oiselle ambassador! The day started early, as I had an hour drive from my house, north of Fort Collins. The race was being held at the Broomfield Commons Park. Ironically, a race location for one of the high school meets when I helped coach high school cross country years ago. My brother and I arrived early (7:45am), as we still needed to pick up our race packets. 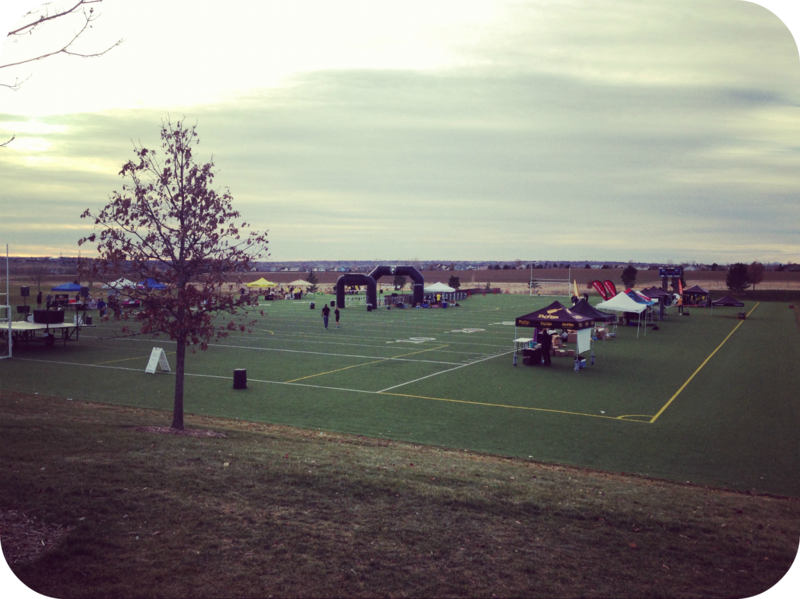 The event area was fairly empty, save a slew of race volunteers. I suppose most participants were taking advantage of the late 9am start time. So, Matt and I killed some time, sitting in his truck, staying out of the cold and wind. 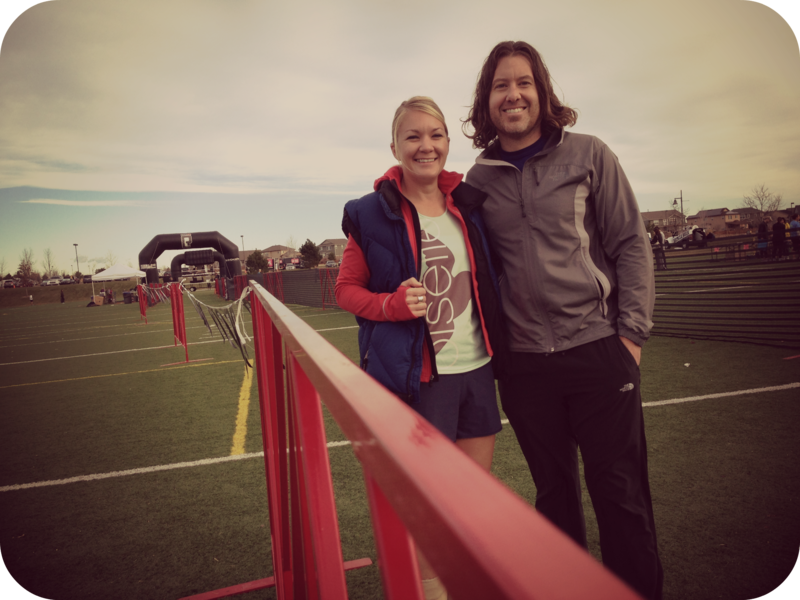 When Erika and her husband showed up, we met them near the start for a quick stretch session before heading to the line. Miles 1-3 were so fun! 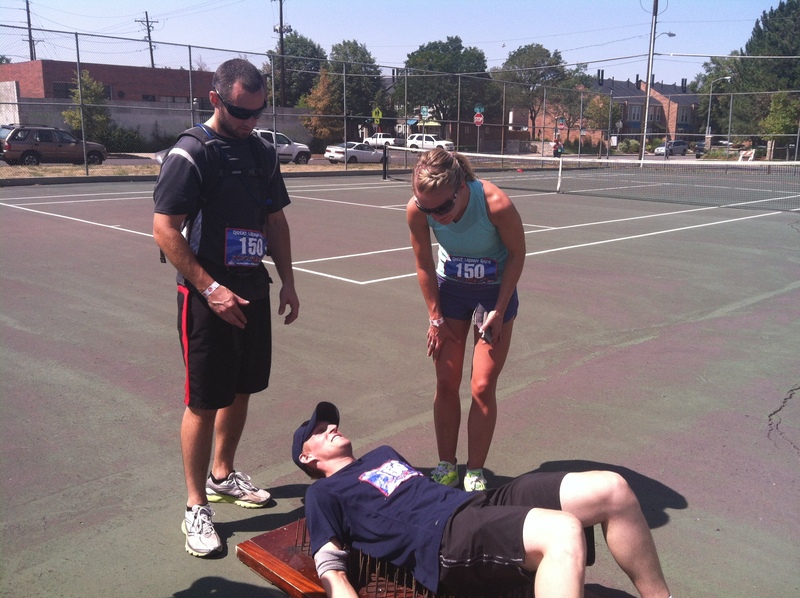 Matt, Erika, and I all had somewhat similar race pace plans and we were conversational through mile 3. 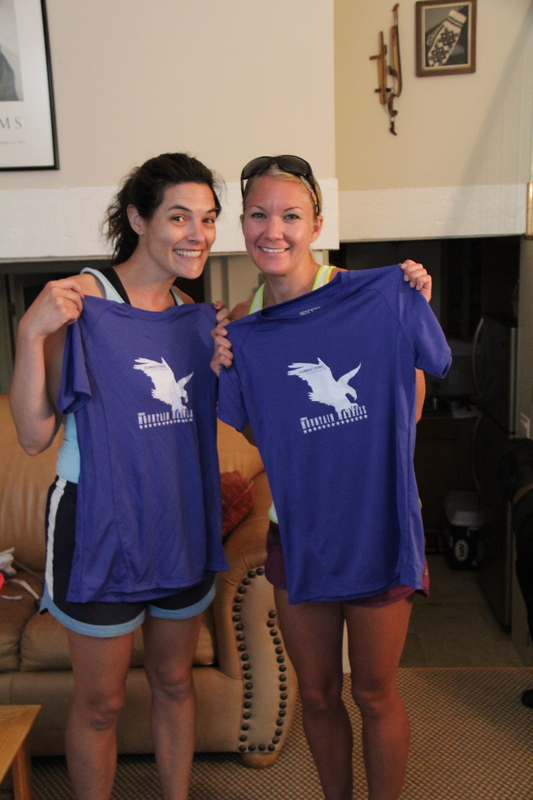 Making jokes, laughing, sharing running injury stories. 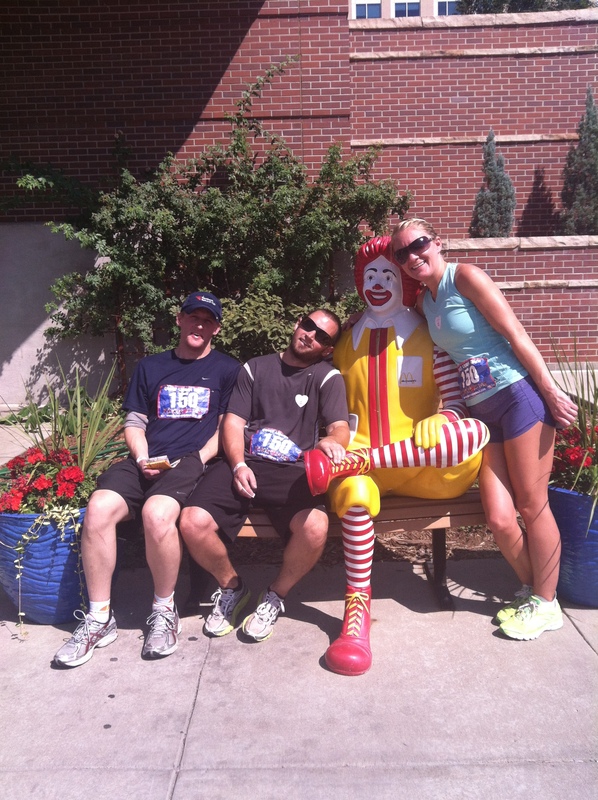 Just the kind of lighthearted 10k you want to run! Then we hit some hills. And directly into a headwind. Miles 4-5 were a little more difficult to maintain the pace we had set for ourselves in those first few miles. But hey, we were still passing people up the hills. Might have been a fun run, but I can’t take out that competitive edge! 😉 The final mile went quickly and we picked up the pace a smidge as we got closer to the finish. 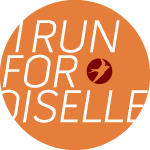 Categories: Oiselle, Races | Permalink. 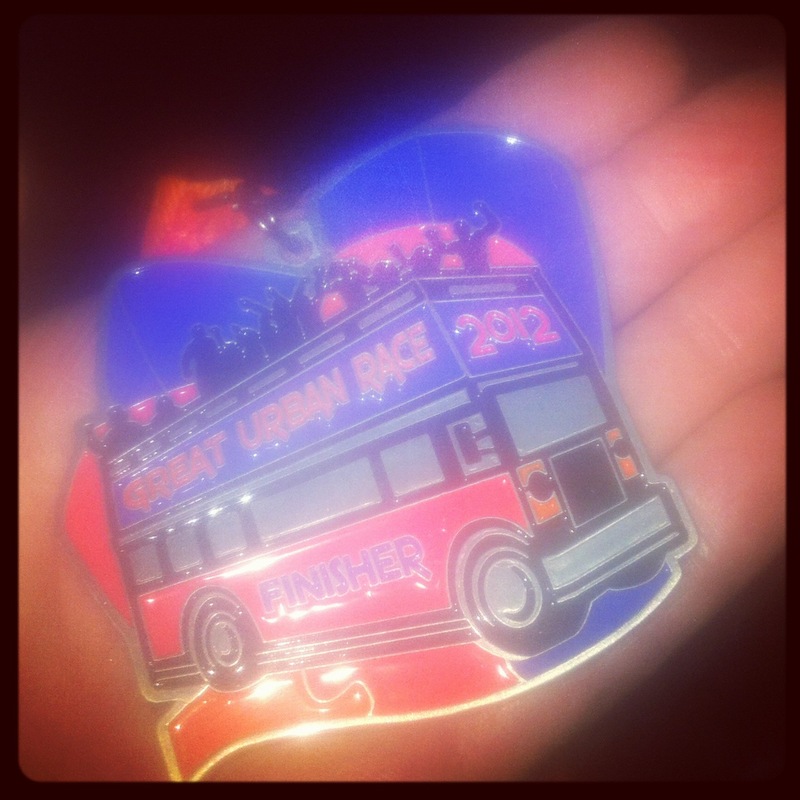 While the boy’s family was in town, his brother, Jason, registered the three of us to compete in the Great Urban Race (GUR). I have participated in this adventure race twice, a few years ago, both times with good friends. I love this race because it’s more than just running! It’s mapping, it’s strategy, it’s clues, it’s puzzles, it’s fun! IT’S A RACE OF EPIC PROPORTIONS! At noon, all teams receive their envelope of 12 clues. Teams must follow the clues around their city and complete 11 of the 12, in any order they choose, and then make it back to the finish. Each clue essentially leads you to a location in the city where one or all of your teammates needs to complete a task: mental or physical. You may only travel by foot or public transportation. No taxis, no cop cars. 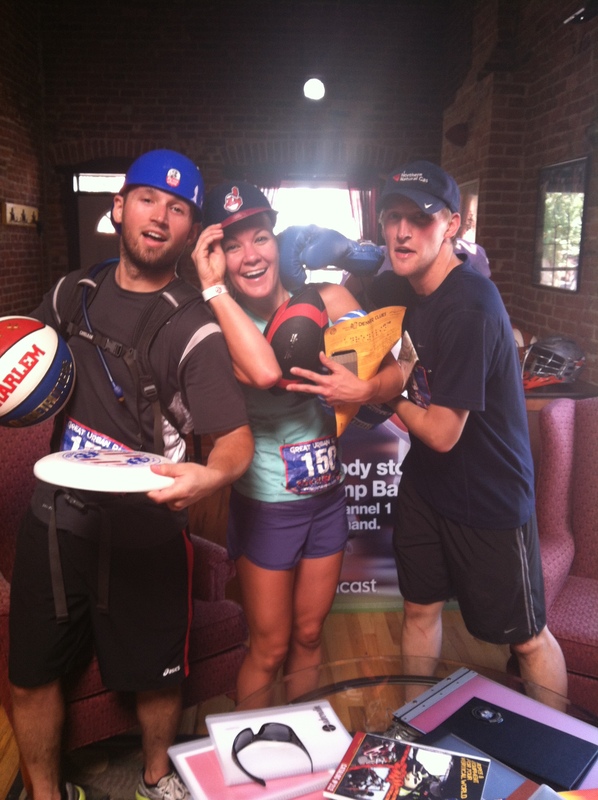 The morning of the race, we headed to downtown Denver to check in, prep, and talk strategy. Because you have to. You can use your smart phone and even call a friend if you need extra help. Solve all the clues immediately and map out where the locations are. We would then choose the farthest location and complete each challenge on our way back. The three of us spent about 15 minutes initially, just solving the clues, finding out the locations, and plotting them on our iPhones and a handheld map of the city (which we pilfered from a local hotel on our walk from the parking lot to the start area). The challenges seemed to be clustered in groups of 3-4, each about a mile or mile and a half from the start. Essentially, it looked like a big circle on the map. So, we chose the group of challenges that seemed the farthest away and started running toward them. It took us just over 3 hours to complete everything and we were so surprised when we were medaled at the finish and found out we were 6th place overall (out of 100)! Originally, it was 7th, but a team before us had a penalty and we were upgraded a spot. The even awesomer part is that the top 25 teams qualify for Nationals in Las Vegas! It takes place the 2nd weekend in November.